ActivMotion Rise and Fall system by AKW. It revolutionises kitchen inclusivity by allowing users of all heights, whether they be standing or seated, to remain independent in their own homes. Having been designed initially for indoor wheelchair users and people who struggle to stand for prolonged periods of time, the work surface can be positioned at the optimal height for each user, but can also be lowered at the touch of a button for those who may need to be seated. We have designed this system to be versatile, as heights range from 685mm at its lowest up to 1100mm at its highest, making it perfect for wheelchair users, no matter the size or dimensions of their chair. Along with this, the Rise and Fall unit can form part of an island and allow young children to be seated at a surface that is the perfect height for them. The 2011 Census highlighted the fact that, 21% of adults and 4% of children have a disability and that 18% of UK households include a person with a mobility need. This fact, combined with the knowledge that 7% of households require special room adaptations means that the Rise and Fall system could potentially help thousands of people remain independent in their own homes. Each Rise and Fall unit is fully customisable with a vast range of work surfaces in sizes from as little as 500mm wide up to 3m in length. They can be fitted with self-sourced work surfaces or because we manufacture work surfaces ourselves, we can make them to measure and they can even be manufactured with curves or kidney shaped surfaces. 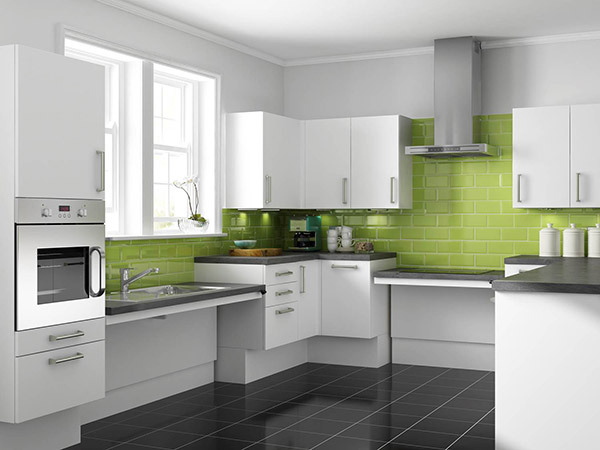 The option is even available to have an “L-shaped” unit, should the kitchen have the space. The unit can be fitted with sinks and hobs that both come in a range of styles and designs, meaning that this truly accessible kitchen system, can also be customised for the user’s needs and to fit the user’s home. The emphasis for the ActivMotion Rise and Fall, really is on independence for the end user. Whether that person be seated, standing or need to transition between the two, this system can cater for their needs and allow them to navigate their kitchen without external assistance.